Your horse needs to be treated just like the athlete he is. The secret to a long and successful career for your horse begins with cross-training. Human athletes recognize just how great it can be for the mind and body. 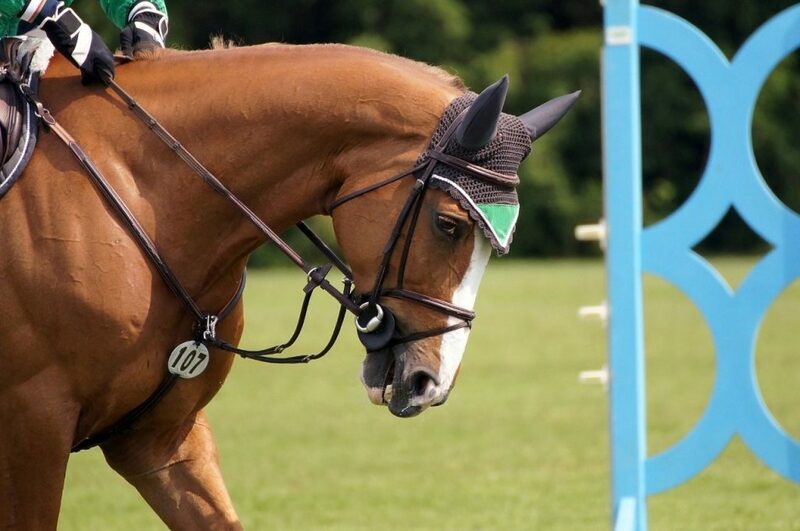 Your sport horse is no different! They can experience improved stamina, strength, coordination, and soundness. It doesn’t stop there! Riders branch out into other disciplines to develop new skill sets. 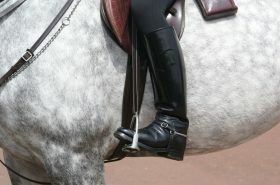 For instance, the dressage rider may incorporate jumping or trail riding into their weekly schedule. Your main objective should be to include various exercises that work different muscles. It’s also important to consider how it impacts your horse mentally. Cross-training spreads out the amount of stress placed on the joints and muscles. Riders are able to target a particular muscle group and work it in a few different ways. Consider the positives of hill work for the show jumping horse. They are still able to strength their hindquarters without the added strain of jumping daily. Repetitive motion injuries, the breakdown of the horse’s muscles, ligaments, and joints from doing the same movements continuously, can greatly be reduced with cross-training. You can achieve peak performance without the inflammation and muscle tears. 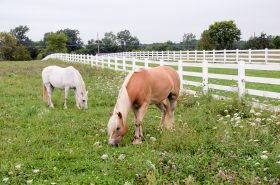 Take a look at the areas your horse may be lacking in and find a way to incorporate exercises that will engage them. Your show horse will develop greater endurance for long weekends at showgrounds if they are occasionally hacked 10 to 20 miles. Even just having a dressage session once or twice a week can improve coordination and suppleness in those that don’t regularly do any. Cross-training doesn’t have to be elaborate. 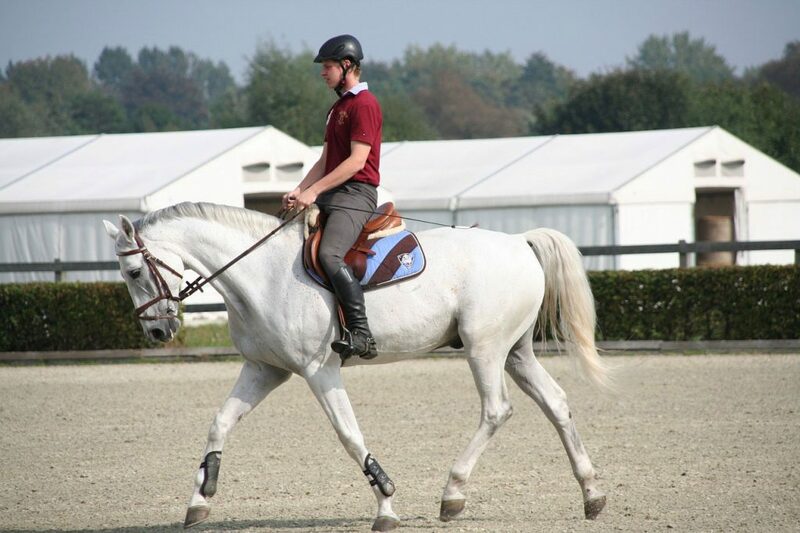 Stretching your horse down over ground poles can help condition their topline. You can educate them on straightness and balance by laying a few poles in a row. 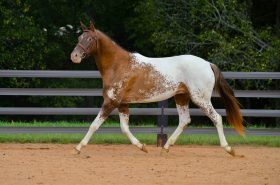 By placing them randomly throughout the arena, your horse can learn to engage his hindquarters and lighten on the forehand. The ring sour horse is now able to have a weekly schedule that includes groundwork, swimming, hot walkers, and trail rides. The terrain on trails will vary from hills and valleys to creeks and river crossings. When you take your horse out of the arena at least two times a week, you can expect a greater work ethic. Changes in their surroundings can be very stimulating. It’s definitely a boredom buster! You can’t expect your horse to be confident when they see the same things day in and day out. By putting them in a new situation, you expose them to what’s unfamiliar. This can carry over on show days when they might come across dogs, children, flags, chairs, etc… Don’t waste your time despooking your horse in the warm-up ring, instead start at home! It’s not just your horse that can reap the rewards of cross-training. As the rider, you can also enjoy the mental break. Step back and gain a fresh perspective when you experiment with something new. You can keep your passion alive! Not to mention, the physical benefits you’ll see. Varying exercises can keep things fun! Why not get creative and try something you’ve always had an interest in, but lacked the courage to try. ***Emily Fought discovered her passion for horses early on in life. When she isn’t writing about them, you can find her in the barn riding. Although Emily’s background is in dressage, she enjoys cross-training and is an avid trail rider. She resides in Northwestern Pennsylvania with her husband and small dog. Together, they own and operate Humblewood Farm.